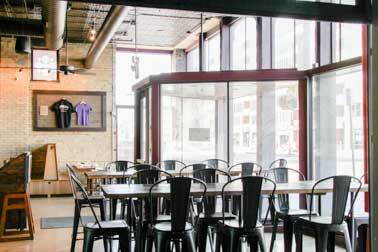 It’s time to break from traditions and step into our downtown Minneapolis taproom. 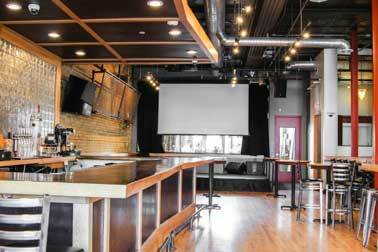 Our trendy, modern taproom offers the casual setting of a brewery and the amenities of an event center. The ideal combination for company happy hours, holiday parties, rehearsal dinners, engagement parties and beyond. This private event space can hold 40-75 guests comfortably, and up to 75-100. Built back in 1883, the Day Block building packs historic heritage behind it’s exposed bricked walls. The building has housed a slew of interesting businesses throughout the years, some we bet you may have never guessed (maybe a brothel, but we’re just going by public records here). Check out our story and all the history left behind. 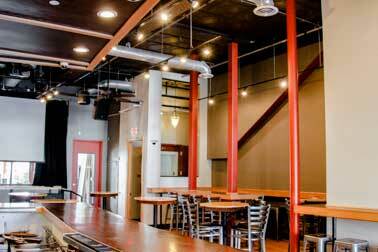 Experience Day Block Brewing Company in the privacy of your own event space, a change of scenery that’ll have your guests excited for the next. Private reservations can be placed in our taproom any day of the week. Room rentals rates vary based on time and date selected. Contact us today to learn about how we can help you host your next private event! Our kitchen’s philosophy is simple. Fresh ingredients and sourcing local benefit both our customers and the local communities. Being a brewery with food also eliminates pesky coordination between venue and vendors because we do it all for you. Day Block Brewing Company caterers parties of 50-250 guests keeping our mission in mind, no matter how big or small the event. 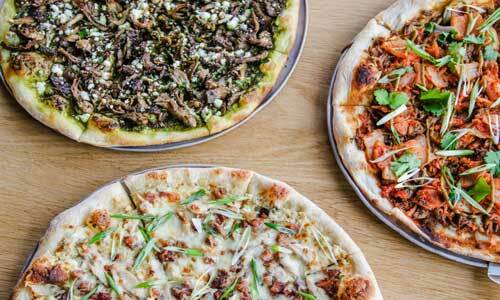 It's time to order up some Minneapolis pizza or choose from our fully built out catering menu for your next event. We serve freshly brewed beer, seven days a week. Our brewers are constantly innovating recipes and rotating seasonal taps. When you pick our event space, you not only get beer but a fully loaded bar. Specialty handcrafted cocktails and non-alcoholic beverages are also available. Making it a kid-friendly restaurant with something for everyone. Guests coming from out of town? Send them home with a party favor – Minneapolis brewery style. Our cooler is stocked with growlers & crowlers ready to be taken home after your private event. Because a good time should never have to end. Need More Space? no Problem. 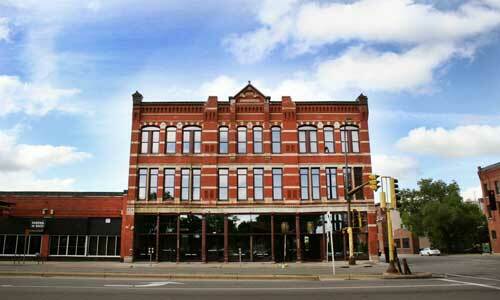 Our upstairs neighbors, Day Block Event Center, offers space for groups of up to 100 and 250. Being a brewery with food allows us to cater for any event held in the Day Block Event Center - eliminating the hassle of coordinating! They do, however, have an open food and beverage catering policy, giving you the freedom to customize any event.